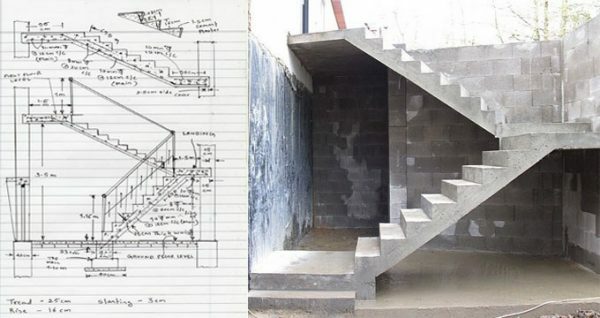 Concrete quantity calculation is the first step of the process of building a concrete staircase. People need to know how much of the needed materials should they buy so the construction would go without problems. 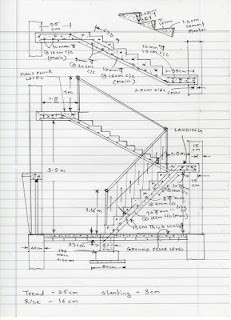 But, this is a huge mathematical process, showing the dimensions of the stairs and the way they’re gonna be build. Only this way they can calculate the need of the materials for the construction. Concrete Quantity Calculations The images will show you the calculations on the piece of paper and the link bellow will explain it better. A nice structure of build..